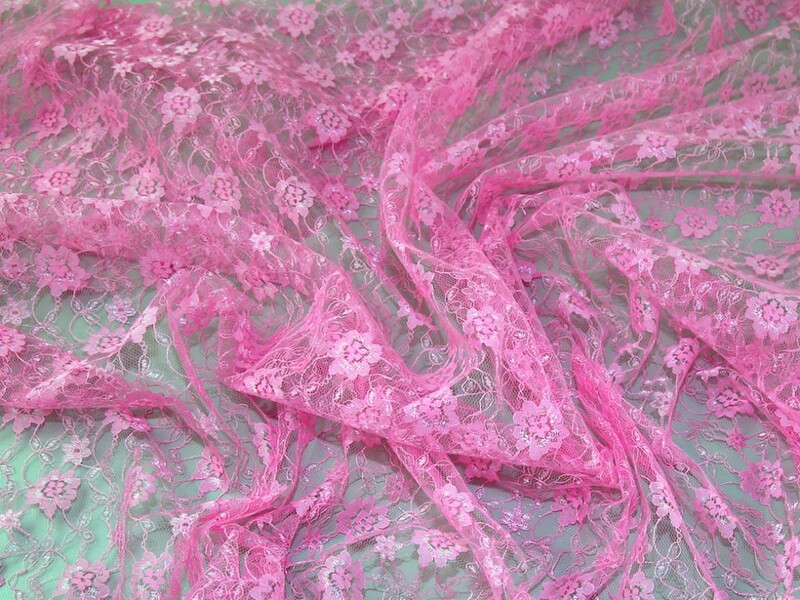 Ultra pretty and very girly, this beautiful lace is fit for any bridesmaid dress, vintage trim, or princess outfit! The floral design which makes up this fabric is very delicate and vintage inspired. This non stretch fabric is very lightweight which means it is perfect to be used as a lace overlay on top of another fabric to add detail and an extra dimension to your handmade creations. Available in a wide range of colours there is sure to be a colour to suit everyone. (Please note: This fabric has been photographed against a white background).